The criminal law frames all the actions to repress and protect Society of breaches criminal nature. Every citizen can be someday confronted with the various aspects of the criminal law, either as author, or as victim (civil part), or even as civil liable of a minor. Our Cabinet will defend you in front of all the penal jurisdictions (Closeness, Police, Penalty, Assizes, Juvenile court) either for all the alternative procedures in the prosecution (penal mediation, penal composition, measure of classification under conditions, appearance on preliminary gratitude of guilt) in order, as the case may be, to underestimate or delete the quantum of the penalties, to maximize the damages, or to calculate a damage in a the most favorable way. 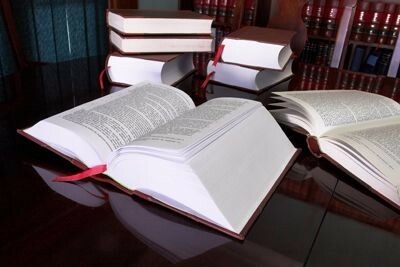 Author of a penal breach, you remain presumed innocent until you are condemned by a judgment dressed in the binding force of the res judicata. Before getting to this point, it is essential to consult and be attended by a lawyer, which can, according to the elements of your file, obtain your discharge (Local courts, Police court and penalty) or your acquittal (Court of Basis) or still, reduce the incurred punishment. Our Cabinet will listening and, without value judgment , will advise you usefully.